California party punks FIDLAR and Toronto's own Dilly Dally are joining forces to rip through a North American tour this fall. The run of dates starts in Minneapolis on September 2 and will make Canadian stops in Toronto on September 12 and Vancouver on October 29. The full tour wraps up in Los Angeles on November 3. 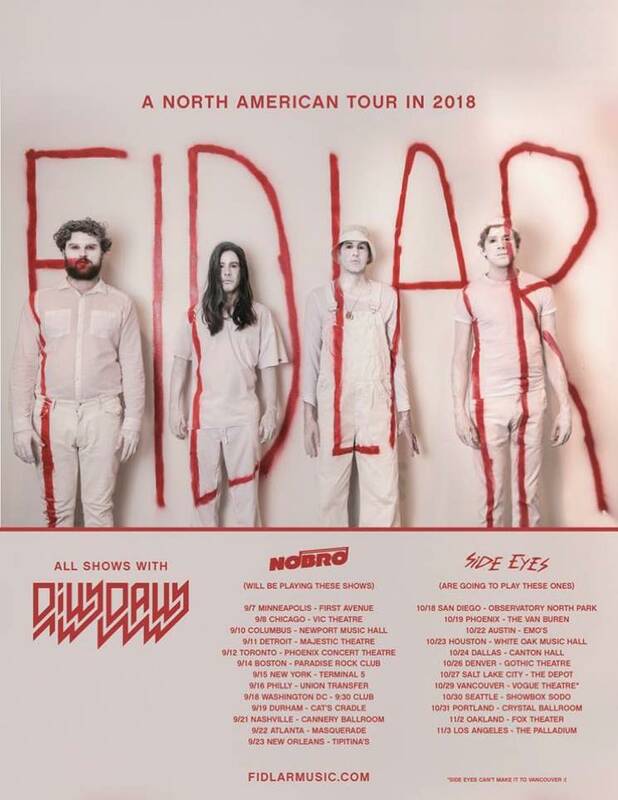 For the first half of the tour, FIDLAR and Dilly Dally will be joined by NOBRO. Beginning in San Diego on October 18, Side Eyes will serve as the opening act through to the end of the jaunt. Tickets go on sale this Friday (June 8) at 10 a.m. local time. FIDLAR recently returned with a new single called "Alcohol," while Dilly Dally recently announced that they have finished recording the follow-up to their 2015 debut album Sore — so fans should be in for some fresh material from both bands.